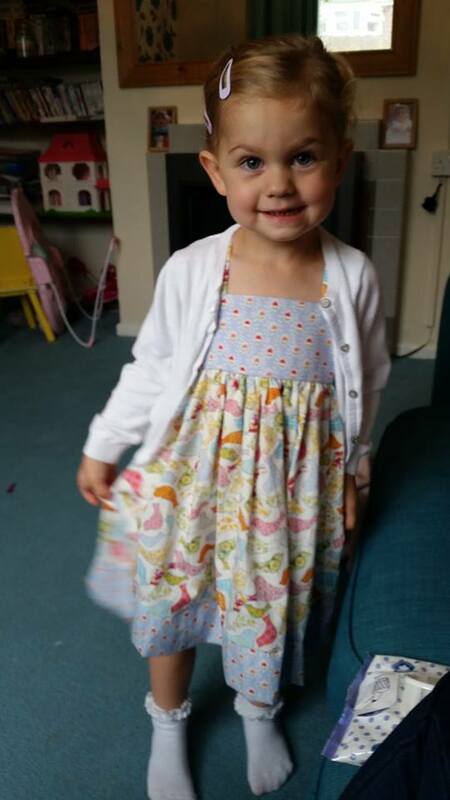 A while ago I wrote about the ‘Alice Dress‘ I made for sweetie and another dress of the same design for my niece in some bird fabric. 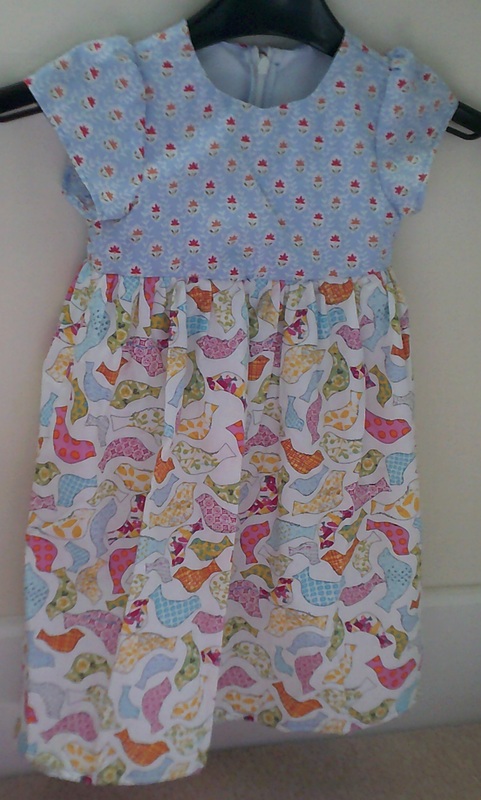 Today I want to share with you a dress in matching fabric that I made for niece number two. 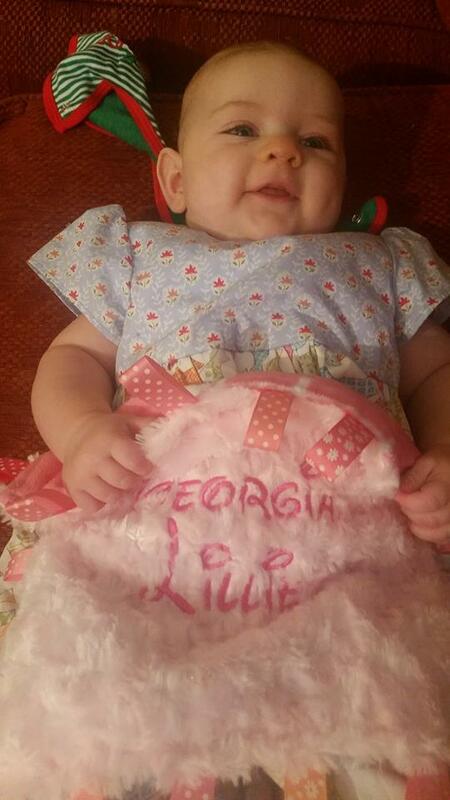 This dress is quite a bit smaller, a baby dress in fact, my first one actually. It was a pleasure to make, quite fiddly at times especially on the tiny sleeves but they were equally rewarding to finish. I used the same layout of fabrics for different sections so that the two girls dresses looked quite similar. Unfortunately there are no pictures of both girls wearing the dresses together, as sometimes happens when making baby dresses it was a bit on the big side.